Boing Boing founder, guru of cool and in-house Robert Anton Wilson fan Mark Frauenfelder reports that an unpublished Timothy Leary manuscript is being made available for auction. Fraunfelder writes, "Timothy Leary wrote The Periodic Table of Energy while he was in Vacaville state prison in 1974. "The work explores 'correspondences among the Periodic Table of Elements, the Neurogenetic Theory of Evolution, the Tarot, the I Ching, [and] the Zodiac.' The 203-page typescript is profusely annotated and edited in manuscript, and illustrated with images, advertisements and articles clipped from newspapers and magazines." Auction house press release is here. 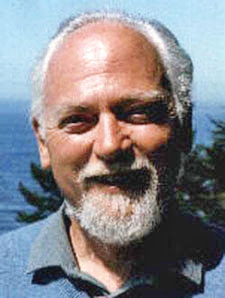 Boing Boing's Robert Anton Wilson posts (lots of good stuff) is here. Thanks for this info. I hope someone publishes the book sometime. Sounds like it may have been a precursor to The Game of Life. I also hope it gets published.